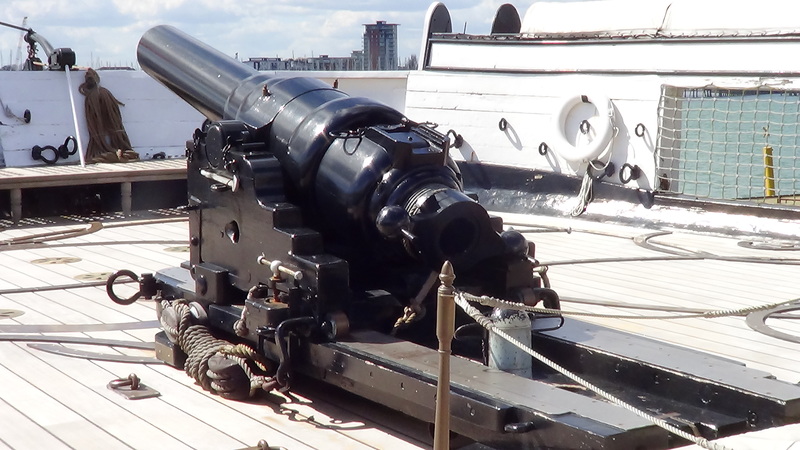 The upper deck armaments of HMS Warrior consisted of a number of side orientated cannons, together with manoeuvrable stern and bow chasers. 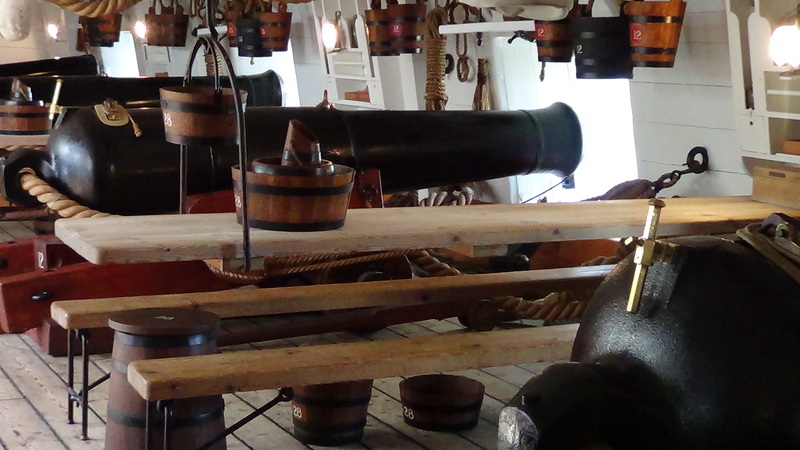 The chasers could be manoeuvred on mechanical trackway to increase the arc of fire in front of and behind the ship. 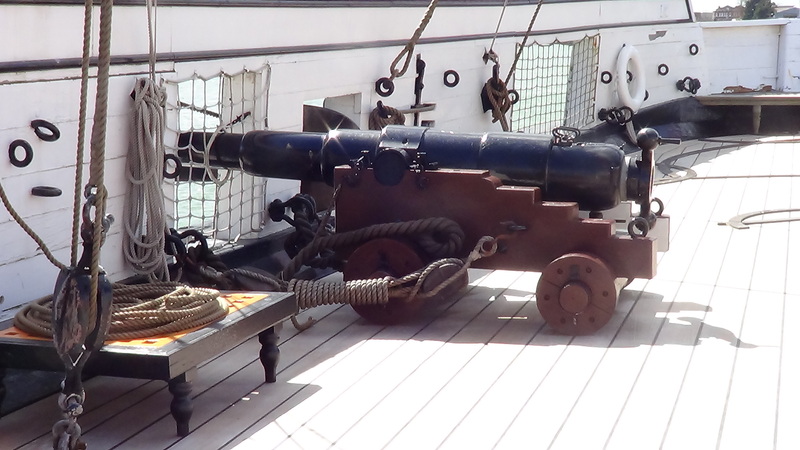 The main armaments were found on the gun deck. They were contained within an armoured citadel which also held the armoury, ammunition, fresh water, fuel and engines as well as the crew mess hall. 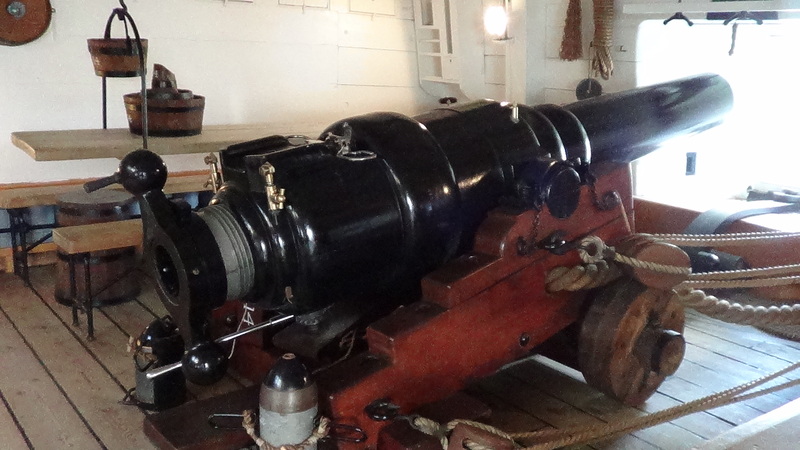 Within the citadel were 22 68 pound cannons and 4 110 pound cannons. The armoured citadel was 213 foot long and 22 foot deep and when tested against the most powerful guns of the day withstood damage even at point-blank range.